Being financially smart doesn’t necessarily mean that you’re on your way to becoming a millionaire, although you could try Creditfix for tips if that’s your ambition! No, it simply means that you can avoid debt and always have enough money to live comfortably. You also have enough savings to cope with a broken boiler or dental crown without having to delay repairs or go into debt. The thing that financially smart people have in common is a cluster of attitudes and habits that lead to being comfortable. It doesn’t actually matter how much money you have coming in, it’s your attitudes towards that money and your behaviour with it that count. 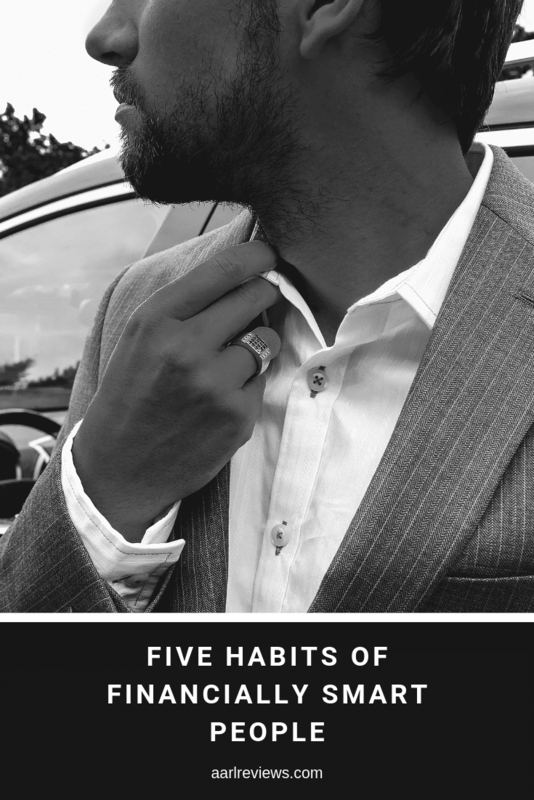 Let’s take a look at some of these habits. Many of us see something we like in a shop or online and it’s a case of buy first, save up later. Not so for the smarties among us. They seem to be able to defer gratification, even if it’s only for as long as it takes to look for a discount voucher or for the January sales. Sometimes this cooling off period results in no purchase at all – the impulse passes – and so over time, this means more money stays in the bank. Occasionally, it’s better to spend a bit more on something because it’s better quality than its cheaper cousin from another company. Spending wisely isn’t always about spending as little as possible but about getting the most value out of a purchase. A well-made winter coat that’ll see you through three or four years might set you back twice as much as the cheaper option, for example, but it’ll last three or four times as long as the flimsy cheap option. Lots of people see their credit cards as a quick route to getting what they want. Financially savvy people know that they’ll be paying for that impulse purchase for longer than they really need to because of the interest. Sometimes it makes sense to use a credit card; if there’s a big discount on something and they can pay off the amount quickly then that’s a saving right there. Most of the time, though, the credit card is for emergencies. Smart financial operators start saving early so that after a few years they have quite a nest egg. They understand that even if they can only deposit a few pounds into their savings account each month, it all adds up as long as it’s left alone (and not plundered for impulse purchases). A bottle of water here, a coffee there, another pair of fingerless gloves… On their own, these little treats don’t cost much, but when you add up how much you spend on them each month, you might be surprised. If you forget that you buy a bottle of water every morning then you’ll be making a sequence of these “isolated, one-off” purchases and they’ll eat into your finances. Keeping track of spending is a good way to control it as you’ll see where it’s all going.